Forget New Year's resolutions. Write a Wish List instead! Yes, I know I'm not perfect. There are bad habits I'd like to break. I want to exercise more. I want to eat more vegetables. I want to lose weight. And I'd like to write every day and blog every day and start that vlog I've been meaning to start. But I don't write New Year's resolutions. I don't like the idea of them. It just seems so negative. They're all about what you don't like about yourself, things you want to change. They make you feel bad about your past. And that negativity continues when you inevitably fail to keep some of those resolutions. Then you feel doubly bad about yourself, first for the things you wanted to change, and then for your inability to change them. That's why instead of writing New Year's resolutions, I write Wish Lists. These are lists of things I want to do or have. We're not talking about an Amazon Wish List. Many or even most of the things on them can't be bought. They're just whatever you wish for in the future, whether it's success, good health, a quiet place, or anything else you dream of. I usually write a Wish List at the start of summer or a week or two before my birthday. The idea came to me when my husband told me he gets me lame presents because he doesn't know what I want. Now he has a list. Not everything on it is something he can give me, but that's okay. There are things he can, and things he can work out sort of giving me. Like he can't give me good weather to take more walks, but he can go for walks with me. So instead of focusing on the negative, write a Wish List and focus only on the positive. And every time you wave your own magic wand and make one of your wishes come true, you can cross it off your list. One summer, my family got together and wrote a list called "The Summer of 100 Wishes." It was fun crossing things off that list, like movies we wanted to see or trips we wanted to take. We probably did 50 things we wouldn't have done if we didn't have that list to spur us on. My latest Wish List, which I wrote before my most recent birthday, includes things like "See a great stand-up comedy show." I was happy to cross that off my list after the opening night show at this year's New York's Comic Con. So forget about making New Year's resolutions. Forget about feeling bad about yourself. Instead, make a Wish List. What would be your top five wishes for 2014? My mother is on the left, here pictured with her mother and younger sisters. Judging by the age of her youngest sister in this photo, this is probably from 1951, when my mother was 15. My mother’s story begins with running, a hand holding tight, a lost doll, and a dead body. These are parts of the first memory she could recall, something that happened to her when she was only two or three years old, possibly even a bit younger. Like her mother, my mother was born in Jerusalem. My grandmother, however, was born when Jerusalem was under Ottoman rule; while my mother was born under British rule. My mother was the middle child of seven siblings to survive to adulthood. She had three older brothers and three younger sisters. She also had three sisters she never knew who had lived and died in infancy before she came into this world. She was born on the very last day of 1935, so it’s possible that her first memory is tied in with the riots that took place Jerusalem’s Old City during the November of 1937. On the first day she could remember vividly, she was a little girl, just a toddler, sitting on a bus with her grandmother, Savtah Bat-Sheva. 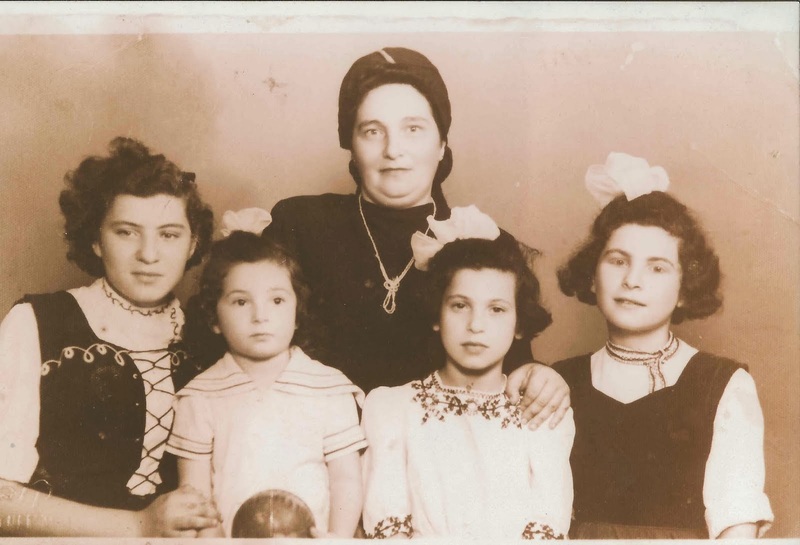 My mother, second from the top left, with her parents, sisters, and a baby (perhaps one of my cousins). My great-grandmother Bat-Sheva is on the right. My mother remembered my great-grandmother— the one I’m named after—as always being dressed meticulously. She had a printed housecoat that she wore around the house, but when she went out, she wore a black dress with a white apron. While the housecoat was something she had been bought in a store, everything else she wore was tailored and handmade. The apron had lace on it with intricate details that she had crocheted herself. The scarf on her head was also her own handiwork. Between all that close-up crafting and her almost constant reading, her eyesight was very poor, and she had to wear thick glasses. They sat on the number 11 bus in Jerusalem, side by side, on their way from my mother’s house to her grandparents’ house on the other side of Jerusalem. Occasionally, Savtah Bat-Sheva spoke a few words to her in Yiddish, the only language my great-grandmother could speak. My mother held a little rag doll in her hand, a gift from her grandmother. Had her grandmother made it herself? Probably, although there’s no way of knowing now. The only thing that matters is that it was a gift from her grandmother, who sat beside her and smiled down, her eyes, behind her thick glasses, shining with love. Other people were running behind them, angry men in Muslim attire, and they were shouting, “Itbakh Al Yehud!” Little Tova didn’t know that meant “Slaughter the Jews!” but she could tell the men were angry, and the people running away from them were terrified. The bus stopped, and the doors swung open. Savtah Bat-Sheva held Tova’s hand tight, and Tova held her little doll’s hand tight. Young and healthy adults got off the bus and started running away from the Old City, away from the danger. A group of people carried bodies onto the bus. Some of those carried on were moving and groaning, but there was one bloodied person who was perfectly still. What was wrong with him? Why wasn’t he moving? Little Tova didn’t understand, but years later, she realized that the man had probably died from his wounds. Savtah Bat-Sheva picked little Tova off the chair and pulled her to the door. Tova held her grandmother’s hand tight in one hand and her little rag doll tight in the other. They got off the bus and found themselves in a streaming river of people heading in both directions. Half the people were running away in a panic from the Old City. The other half were running toward the Old City in the hopes of finding their loved ones safe or to see what they could do to help. Little Tova saw legs running, everyone running. But what about her dear old grandmother? The thing my mother remembers the most about that day is that her grandmother ran. How was this possible? Her Savtah Bat-Sheva, this old woman who spent most of the day sitting and crocheting or reading—running? But Savtah Bat-Sheva ran, then, ran for her life and her granddaughter’s life. And Tova had to move her tiny feet faster than she had ever moved them before to keep up. Her grandmother held her little hand tight, and Tova clutched her little rag doll tight. She reached back, but she couldn’t see it. There were too many people running around them. She wanted to stop. She wanted to go back to get her doll. But Savtah Bat-Sheva held her hand tight and continued to run. She ran and ran until little Tova finally reached her grandparents’ home in the Jerusalem neighborhood of Mea Shearim. My mother didn’t know exactly when this event took place or exactly how old she was at the time; she only knew that it was her first memory and she was very little. In a video interview I made with her, she asked me to try to work it out based on historical resources. So I looked it up. How does an event like that shape a person? You might think it would make them fearful, but my mother was fearless. You might think it would make them suspicious of other people, but my mother loved and was loved by almost everyone she met up until the end. During one visit to the hospital, my brother asked an orderly where my mother was. “Who?” the orderly asked, not recognizing the name. “The charming woman,” my brother replied, having no better way to describe her. The orderly smiled and knew exactly who he was talking about. If anything, I think it made my mother appreciate life all the more. It made her see it as a miracle. And even in the worst stories she told—stories of riots and war and death and destruction (with the exception of one story that I plan to get to later)—there was also a sense of wonder that life, the miracle of life, goes on. A few weeks before my mother died in Jerusalem, she told me in a telephone conversation that stretched all the way to the United States about sitting down with her sister Sarah and reminiscing about the past. That day they had talked about the time they spent in Tel Aviv in the late 1950s, two young and beautiful ladies in a young and beautiful country—all three with ancient histories and fascinating stories—sipping coffee in a café. My mom worked back then as a journalist, a children’s page editor, and a publishing assistant for the newspaper owned and run by her father and brothers. Her work didn’t make the front page, but, there in that café and everywhere she went, she had a front seat to history. Several years earlier, I had interviewed my mother for a book I was writing, which was a fictionalized version of her life in Jerusalem before, during, and a few years following Israel’s War of Independence in 1948. My mother had been twelve years old at the time of the war—a bat mitzvah girl—and the book was a project I was working on for a publisher who specialized in gifts for Jewish girls. The publisher had loved the story . . . until she asked me to add historic facts. The historic facts didn’t agree with her less than Zionistic friends, and her demand that I rewrite history to suit them didn’t agree with my principles and journalistic integrity, so the project fell through. But I still had all these stories I had gathered when I was researching the book, and they were wonderful stories. Perhaps it was for the best that the project fell through. 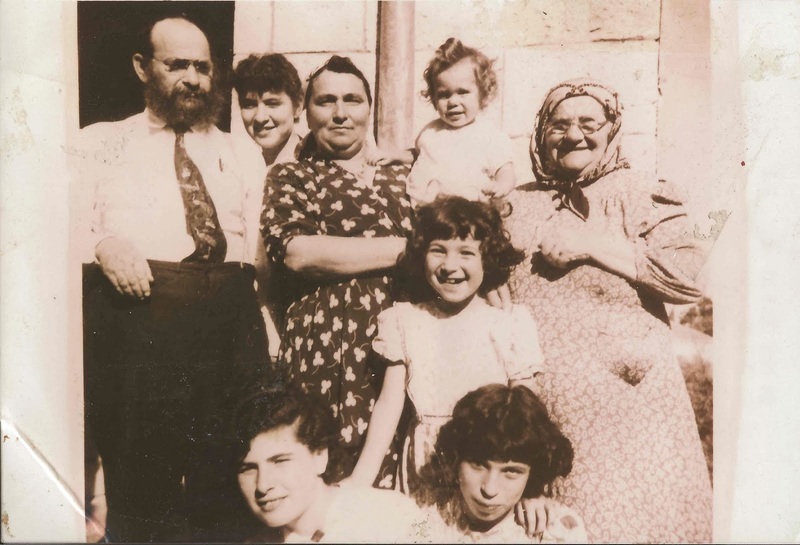 Even before I started working on it, I had wanted to write a book about four generations of women in my family that spanned from the very early 1900s until the present in the Holy Land. I wanted to write that book, Bathsheba's Daughters, because these women had great stories, stories that deserved to be shared. And a few weeks before my mother died, when we still hoped she might be with us for at least a few more years, I wanted her to share more of her stories. It was the greatest inheritance she could possibly leave behind. 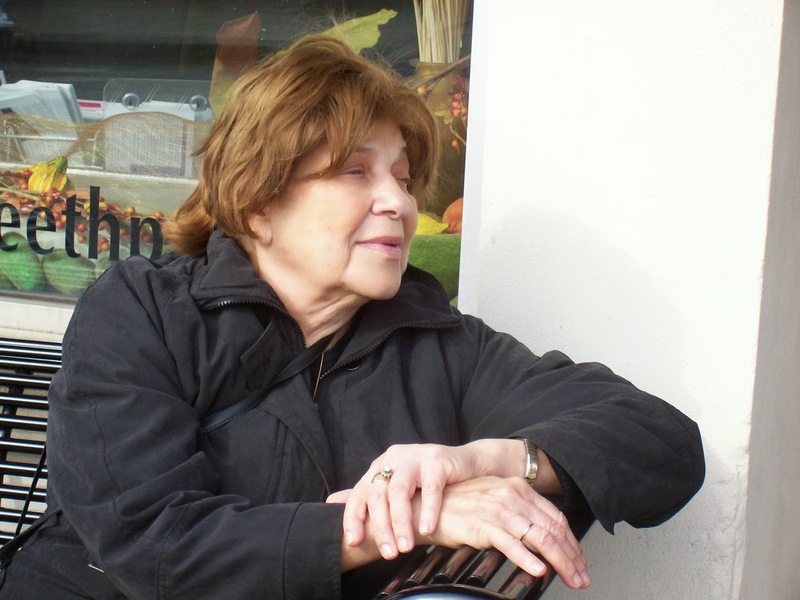 “I’m not a writer,” my mother replied, this from a woman who was a journalist for decades. “But you’re a good storyteller,” I told her. She said it was a good idea and implied that she would think about it. I’m sure she did. I’m sure it gave her a reason to want to stay around just a little longer. My mother was the kind of mom who would do anything for her children. Anything. So now it’s up to me, the daughter who writes, the collector of stories. When we were sitting Shiva for my mom, a few people came to me with stories. Stories about my mother, my grandmother, and my great grandmother. And I grabbed those stories with both hands. I knew, for example, that my grandmother had been a bit of a rebel when she was a teenager, but I didn’t know that she would lean forward when the seamstress was measuring her for dresses, because she wanted the hemline to be higher than her parents would permit. I knew that my great grandmother was funny, creative and smart, but I didn’t know that under her bed in her old age she kept a green plastic shopping basket that contained a chess set, and I didn’t know that she would pull out that basket and play chess when a young distant cousin came to visit. Even in her old age, she still had a playful side. I shared the stories I had collected, too, but there were so many of them. I couldn't possibly tell them all. I told them about the book I had worked on and the book I had planned to write. I promised to post the stories on my blog, and that is what I hope to be doing from time to time over the following weeks. Maybe if I write enough of them and collect enough photos and other material from my family, I’ll put it all together as that book I was planning to write, the one about four generations of women in the Holy Land. I hope you’ll forgive me for this little detour. I know I usually write about writing, designing books, comedy, and geek stuff. But these stories about the women in my family deserve to be told. A story of Planes, Trains, a Taxi, Walking, Ice Skating, and Hitchhiking! You know the movie Planes, Trains and Automobiles? 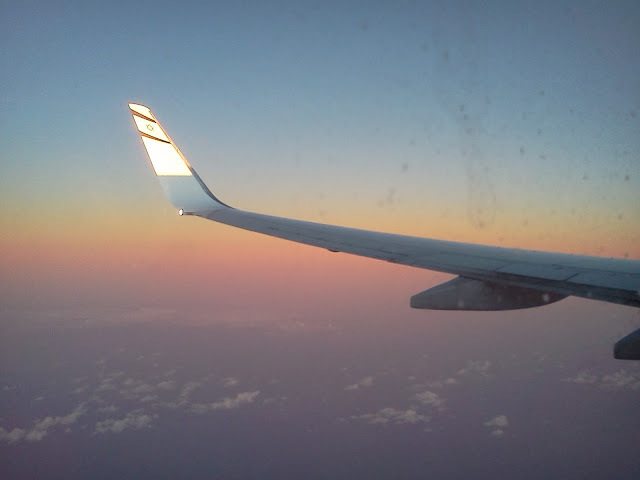 Our return home from Jerusalem was a story of Planes, Trains, a Taxi, Walking, Ice Skating and Hitchhiking! The roads in and out of Jerusalem were closed on Saturday night because of all the abandoned cars still stuck in the snow. At 7:30 they opened to public transportation only, so we arranged to get a taxi to Ben Gurion Airport at 3 AM. The taxi picked us up, but it kept slipping and sliding on the road from my sister's house. At one point near the entrance to Jerusalem, the taxi got stuck. We got out and pushed. The driver told us to get out and walk up ahead to meet him, so there were were in the middle of the night, stomping around in deep snow and slipping on the glassy ice for about half a mile. Two ultra-orthodox men in a car behind us offered to give us a ride, so I climbed in with my daughter and son, and they took us up to the taxi. My husband, on the other hand, decided to run to the taxi instead. The taxi driver yelled at him, "Don't run!" because he was afraid my husband might have a bad fall and hurt himself, but somehow he managed. We drove between the cars, buses, trucks, and other abandoned vehicles that were still stuck at the sides of the road. There were almost no other cars there. The closer we got to Tel Aviv, the more cars and the less snow we saw. I called my sister when we arrived at the airport to tell her we had made it. She said we were lucky, because they announced that the road out of Jerusalem was again closed to all traffic at 4:30. She said we were probably one of the last vehicles to make it out that morning! We took an El Al plane to Zurich, Switzerland, spent five hours in the airport there, and then took a Swiss Air flight to Newark, NJ. This is a video I shot in the train at the airport in Zurich. There's something surprising on the train, so I decided to record it and share it with you. Pretty cool, huh? The entire journey, from the time we got the taxi to the time we got home, took about 25 hours. What an ordeal. I wouldn't believe it if I hadn't been through it myself. Pictures of snow in Jerusalem on December 13, 2013. The dog belongs to my sister. The smile belongs to my niece, Shir. I came here to see my mother one last time, but I was too late: she died after the plane landed but before I could make it to the hospital. My brother told me the last time she smiled was when he passed on my message that I love her, and she said, "Tell Shevi I love her, too." It rained on the day she died. It's been raining most of the week. When my sister and I spoke at the funeral, the clouds cleared, and a ray of light shined down on us. Today we got up from sitting shiva, and it snowed. My mother was an amazing woman. She lived through hard times and was a witness to history. She was a journalist, the manager of a business, a mother, and a teacher, but more importantly, she always had a smile and a kind word for everyone she met up to the very end. I wish you could have met her. You would have loved her. Everyone did. I hope the snow and ice clear before Saturday night, or we'll have a hard time getting to the airport for our return flight.﻿ Please wish us a safe trip home. My mom died at 6:15 this evening after I arrived in Israel but before I got to the hospital. I said goodbye and told her I love her. My sister said my mom waited until I arrived in the country. My brother said the last time she smiled was when he passed on my message to her. I'm so lucky to have had such an amazing and loving mom.